Alicia Camacho is the Marketing Manager for Europe at Donnelly Language Solutions. Based in Madrid, Spain, she has over a decade of experience in the professional services industries, and she has worked in a range of different markets. With a background in business, sales and marketing, she specializes in strategic planning, inbound marketing and go-to-market strategies. In addition to her role as at Donnelley Language Solutions, Alicia is a teacher at the digital marketing school EDIT. Prior to that, she spent three years at JLL, where she successfully managed complex global marketing projects across different geographies, time zones, and business lines. Alicia’s endless curiosity and passion for travelling drove her to develop her career in different countries, including Spain, Singapore and the UK. 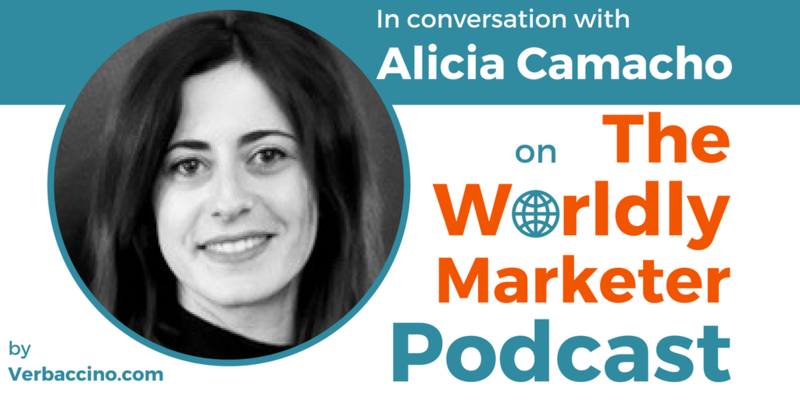 With her positive attitude toward change and ability to build relationships with people from different cultures, Alicia embodies the qualities of today’s successful global-minded marketer. This episode is sponsored by SH International LLC.